Formerly Master Z’s Cue Club. New owners since September 2012. 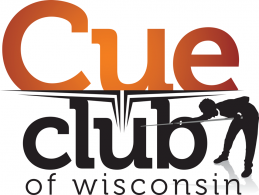 Changed the name to Cue Club of Wisconsin in September 2013. One of the largest sports bars in Waukesha County with 17 pool tables (ten 9 foot tables), 3 foosball tables, 2 shuffleboard tables and 6 dart boards. We have an award winning fish fry served every Wednesday and Friday from Noon to 10pm. We sponsor many dart and pool teams and also have an in house foosball league that plays every Tuesday and a 9 ball pool tournament every Thursday. We are also known for our music. From September to May, we have a band rocking our establishment every Saturday night. We also have a DJ every Tuesday and Friday night. The Cue Club is truly the place to be. We also host a great Packer game party where we have free food at half time.